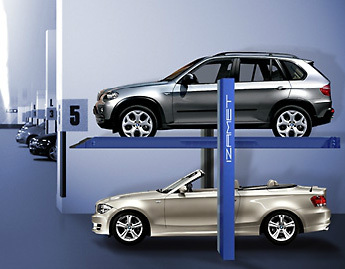 The product line FIRST offers state-of-the-art parking systems with a wide application – private properties, business centers, public buildings, etc., certified according to the European standards EN 60204: 1998 and EN 1493: 1998. 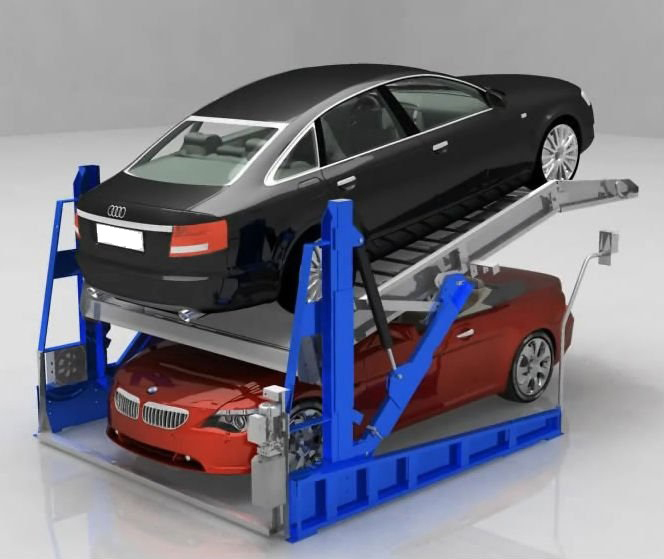 Designed to park two cars up to 2400 kg, the mobile platform of the car park raises one of the cars to a higher level, and the next one is parked beneath it (double-decker elevator). The lifting mechanism consists of two columns with synchronized hydraulic drive with an electric motor of 1.8 kW. The system is secured against anti-fall by a 4-pole electro-mechanical lock. It is mounted in open or closed areas on a base of reinforced concrete with a minimum thickness of 200 mm. Versions for 2, 4, 6, 8, etc. cars are available, as every two-vehicle system is independent.